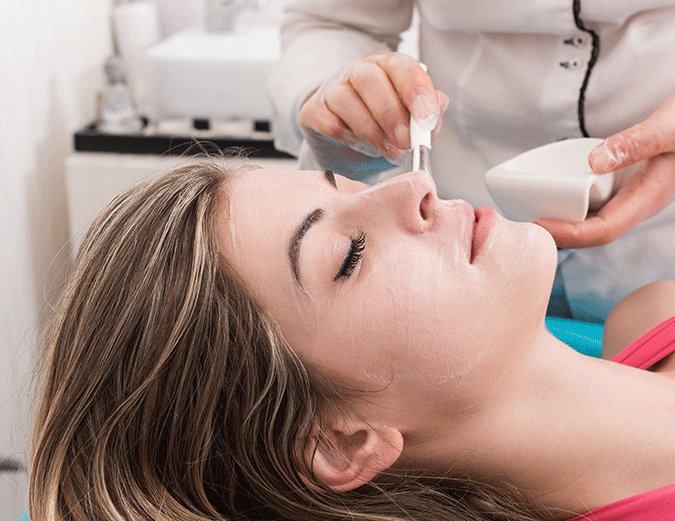 Peels are an effective way to improve a number of different skin conditions, targeting concerns on the face and body. Facial peels exfoliate the outer layers of our skin- stimulating cell renewal and regeneration, as well as refining, smoothing and hydrating the skin. We offer a number of peels at Skin Alert including glycolic, lactic and salicyic acid peels, TCA chemical peels, retinol peels, and the popular pomegranate peel. Many skin concerns can be addressed including sun damage, fine lines, scarring, acne, pigmentation and hydration. You can maintain a fresher, more youthful complexion with a course of skin peels. The term “skin peel” has a broad definition, as there are many different types with varied outcomes. Some peels work superficially and only exfoliate the outermost surface dead skin cells with little or no downtime, whilst others work deeper in the skin and can cause peeling for approximately 7-14 days. During your initial consult we can advise you on which peel is best suited to you, and how you can maximize your results with appropriate preparation and maintenance homecare. A superficial to medium depth peel used to treat fine lines, wrinkles, sun damage, acne and acne scars whilst also improving overall complexion, texture and brightness of the skin. A refreshing peel that is suitable for most skin types. $120. Salicylic acid may be combined with 7% TCA to penetrate the deeper layers of the skin breaking down excess oil, refining and dissolving clogged pores, treating acne and smoothing the skin. $135. A unique super hydrating formula that treats superficial pigmentation, dry, dehydrated or sensitive skins. The skin is lightly exfoliated leaving a smoother texture and brighter complexion. $120. TCA peels, otherwise known as “true chemical peels”, come in a variety of different strengths and are considered medium depth or deep peels. They generally promote a considerable amount of skin peeling or shedding. TCA can be used to treat fine lines and wrinkles, acne scarring, hyper pigmentation, sun damage and in some cases congested or acneic skin. You must be sufficiently prepped on homecare before having this peel. $145. 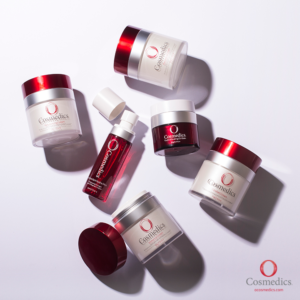 Each of the O Cosmedics peels come with one of four alginate treatment masks, not only to cool, soothe and refresh after your peel but also to increase blood circulation and oxygen supply to give an instant lifting and firming effect. Perfect pre-event when you want to look and feel your best. The ideal entry-level peel for all skin types including the most sensitive of skins. Pomegranate enzymes effectively lift and digest redundant cells whilst multi-fruit enzymes, lactic acid and jojoba esters hydrate, moisturise, repair and reduce inflammation. $129. For most skin types, designed to boost and smooth tired, dull looking skins. Formulated with high levels of papaya, pumpkin and pomegranate fruit acids infused with intense oxygenating and moisturising peptides. 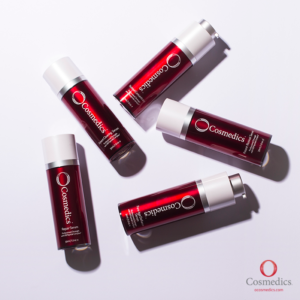 An instant pick me up to plump, hydrate and renew in just one treatment. $139. A mixture of encapsulated vitamin A (retinol), B3 (niacinamide) and AHA to correct ageing skin, improve the appearance of UV damage, refine the skin’s surface, even skin tone, treat acne and provide anti-inflammatory activity in even the most weakened and impaired skins. You must be prepped on a vitamin A (retinol) serum before commencing this peel. $149. An effective yet gentle peel for all skins, especially sun damaged, ageing and uneven skin tone. 30% pumpkin enzymes and natural fruit acids combined to eliminate redundant cells, accelerating cell renewal to reveal fresher, smoother skin. $129. A high strength vitamin C peel with resveratrol, niacinamide, multi-fruit acids and peptides designed especially to treat uneven, pigmented and dull looking skins. $139. A serious skin resurfacing peel made with concentrated levels of lactic acid and salicylic acid combined with niacinamide, this peel will provide resurfacing to treat specific skin ailments such as acne, fine lines, sun damage and pigmentation. You must be prepped with vitamin A two weeks prior to this peel. $159.